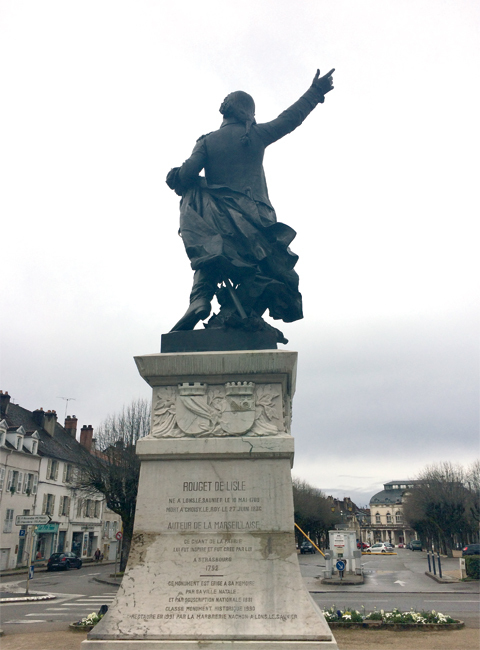 Léopold Chambard (1811-1885), a native of the Jura region and a former pupil of Ingres (1780-1867) and David d’Angers (1788-1856) wished to create a monument in honour of Rouget de Lisle. 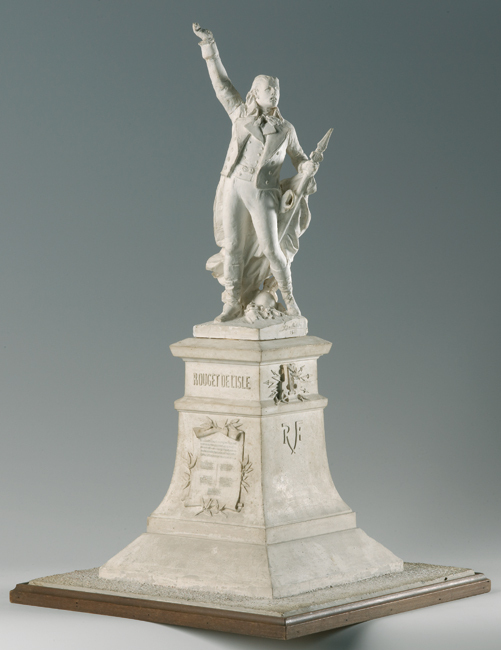 The failed national campaign and the political context resulted in delaying the presentation of the project for the monument. In 1852, La Marseillaise was banned again by Napoleon III all throughout the Second Empire. In 1872, the project for a monument inspired from the painting by Pils (1849) presented by Chambard was rejected along with many others. 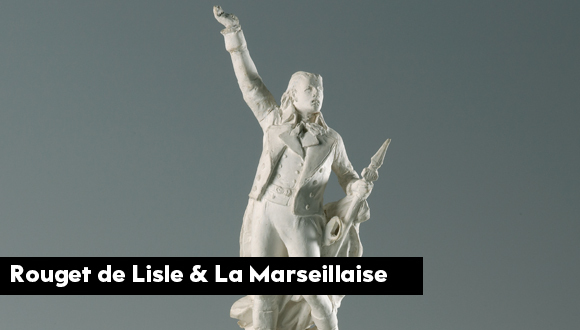 In 1879, La Marseillaise became France’s national anthem. On 5 July 1879, the city council of Lons-le-Saunier voted in favour of a monument. 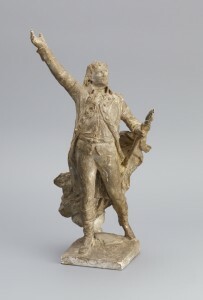 A special committee mandated for the erection of a statue was formed in August 1879 and chaired by Victor Hugo in 1880. 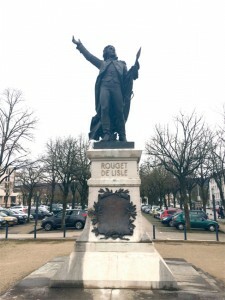 As was the case for the commemorative monument in Choisy-le-Roi, a national campaign was set up to raise the required funds. The Alsacian sculptor Auguste Bartholdi (1834-1904) was widely expected to realise the statue. On 24 April 1881, he wrote : “Monsieur le Maire, I am sensitive to the feelings that urged you to call up on my skills regarding your statue project. I would be delighted to be selected as the interpreter of this noble and patriotic thought”. Bartholdi was both familiar with the portrait medallion realised by David d’Angers in 1829 and the 1849 painting by Pils. In 1881, he presented a preliminary sketch that was widely acclaimed. He carried on with his project without many changes until the bronze statue was fully finished. The total cost was estimated at 25 000 francs.